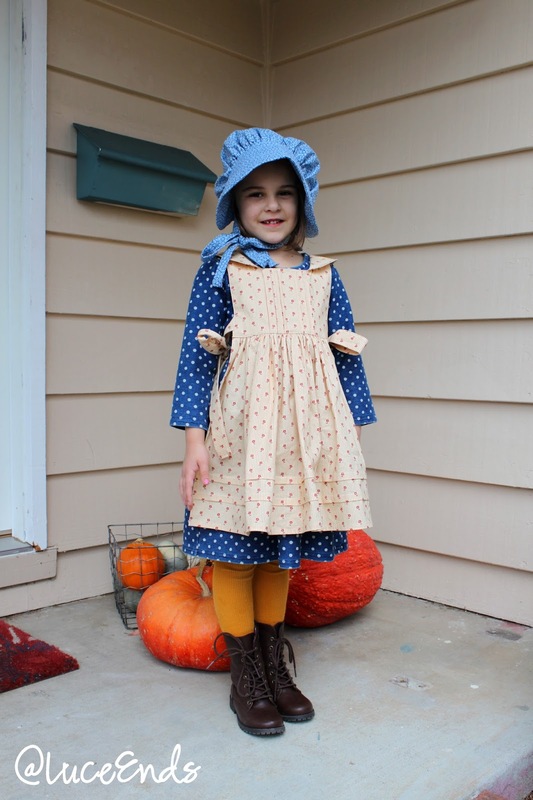 Miss H decided that it would be fun to be Laura Ingalls Wilder for Halloween this year. 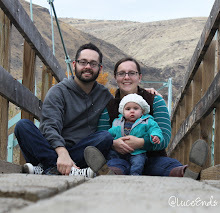 Because we had a bit of a time crunch, first a move and then a vacation, right before the outfit needed to be done, we chose to use a dress she had in her closet. I made an apron and bonnet, and we used some prairie style boots. Her costume was a hit, although many people were confused and thought she was Holly Hobby. 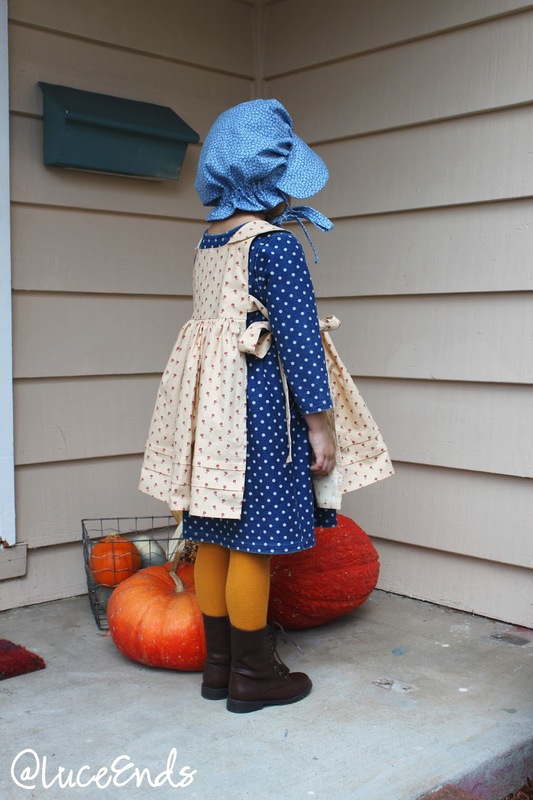 Changes: I lengthened the longer version of the skirt of the pinafore by about an inch and a half. Changes: I used some pretty stiff interfacing on the bonnet brim, none was recommended. Notes: I wouldn't recommend this pattern. It was the only pattern I could find last-minute in my daughter's size. The pattern writing, grammar, spelling, and instructions are atrocious!